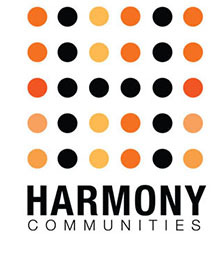 Harmony Communities is dedicated to making home ownership affordable in communities that deliver premium value and enhanced lifestyles. For over 20 years our management team has catered to the unique needs of our residents. From first-time buyers to retirees, our home owners appreciate living in communities that offer professional on-site management, recreational amenities, and security, while providing exceptional housing values in desirable locations nationwide. If you appreciate genuine neighborhood charm, your own home and yard, in a location and at a price that suits your budget, then a Harmony Community is a perfect fit for you. With over 30 communities in 10 states from coast to coast we have manufactured homes at prices you can’t resist, in locations that you will be proud to call home.